Fall AutoFair - They liked red this year! 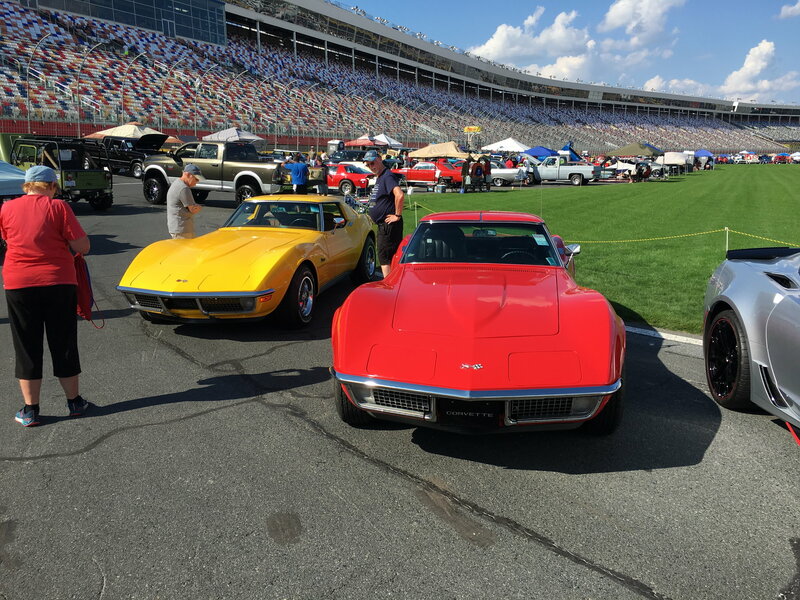 I attended AutoFair here in Charlotte this past weekend and won best C3 and Best of Show for our club, I was stunned! Must have been that $50 I slipped the judges.... ..... KIDDING! The yellow C3 owned by my bud Karl is a show winner too.... I got lucky! I'll be up in Charlotte for the Good Guy's Event in a few weeks. Man I love the look of redlined tires on that shade of red! Nice! What a terrific looking car! I can understand why it was a winner!! Or maybe a late 70? Last edited by Alan 71; 09-28-2017 at 12:06 PM. Thanks Alan, it's not of the same class as yours though! It's a late build '70, L46 with no other options except the AM/FM radio however I added power steering during the restoration. Thanks, I worried that the redlines clashed with the paint but I think it worked out. When I bought the car in 1999, it was silver. The car original color was Monza Red so during the restoration I researched and found one of that color and didn't like it because it looked more orange than red. So I chose Rally Red which was a '65 thru '68 color. I also found out that the paint code for Rally Red in the '68 is 974, the same code for Monza Red in '70....so you could say I have the correct paint code for the car...wrong year though.. 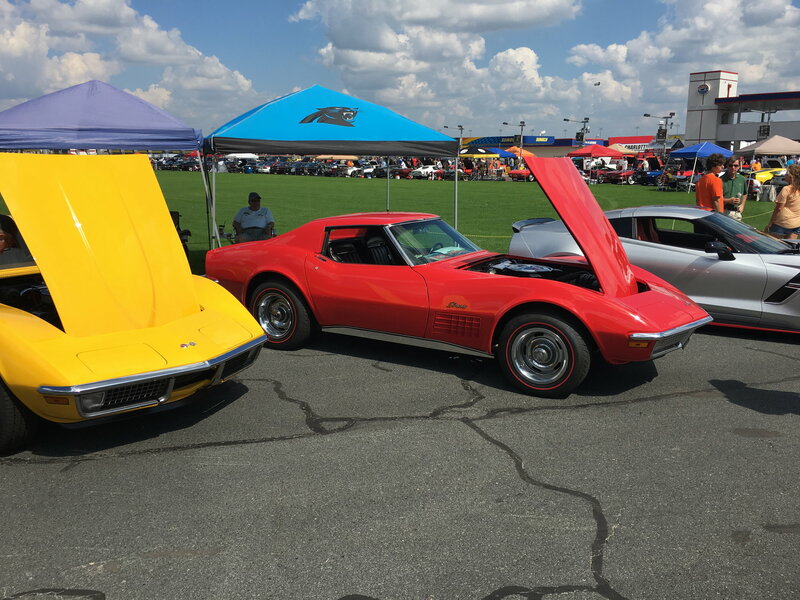 Need Some Advice on Possible Purchase of 1973 Corvette Stingray? 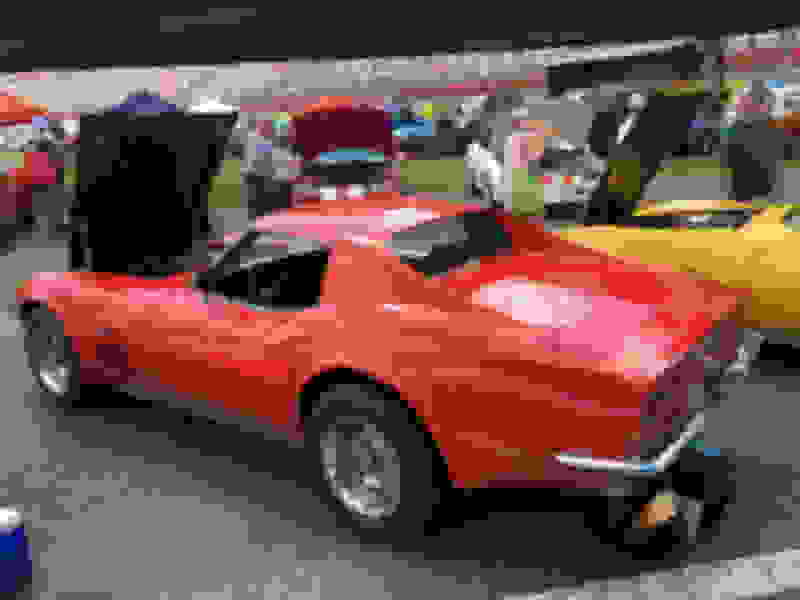 Quick Reply: Fall AutoFair - They liked red this year!